Promoted the GNI Principles as a Standard for Free Expression and Privacy in the ICT Sector: human rights and corporate sustainability experts referenced the GNI Principles as good practices for ICT companies, including UN Special Rapporteur for freedom of opinion and expression David Kaye and the Institute for Human Rights and Business. 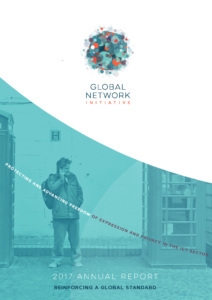 Raised Key Actors’ Awareness on the Human Rights Impacts of Network Disruptions: GNI published a one-page guide, “Weighing the Impact of Network Shutdowns and Service Restrictions,” and translated it into twelve languages. This guide helped GNI engage with policymakers on the risks disruptions pose for human rights, economies, and public safety. Forged Consensus on Rights-Respecting Responses to Problematic Content; for instance, on rights-respecting methods for companies and governments to respond to content that may pose legitimate dangers to public safety.  Grew Membership and Staff, by adding seven of the world’s largest telecommunications operator and vendor companies and civil society groups from Africa, Latin America, and the Middle East; and introducing the position of policy director to advance GNI policy advocacy interventions and continue to build high-level credibility.